Early on in your business you need to work on your brand identity. Branding is the process of building a product image based on associations, feelings, lifestyle, and identity that is projected by a label. You need to think about the meaning of your brand to your customers. Encapsulate that meaning in your brand name. 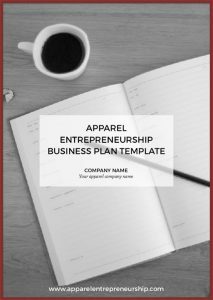 As an Apparel Entrepreneurship member, you can read and learn more from our article How To Create Your Brand Identity. Choosing a great brand name is not easy, we know that. We can’t tell you what name to pick for your business, but we can help you with some pointers to get you going. The brand name is an important part of your business and to what your customers think of your brand. When you choose the right name, your customers immediately identify with your value proposition. If you would choose the wrong name, your customers have no idea what your business stands for or what it does. The importance of your brand name has to do with human psychology. As human beings, we evaluate information quickly and make judgments in a snap. We usually make up our minds in only a few seconds, and then it takes much longer to change that first impression. The foundation of your brand is based on your core values. 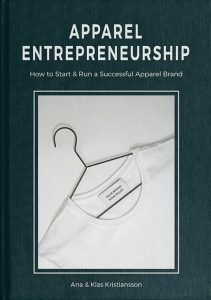 Start by asking yourself WHY you are running your apparel brand, and from that work on your values. Continue with identifying your business identity, brainstorm ideas, perform market research, consider self-evaluation processes, and so on. Google and look at images that show up for different words. Can they inspire you? Think of synonyms to value words. Merge words and create new ones. Put letters together that sound cool, but doesn’t mean anything (yet). Put up post-its with names on the wall to get a better overview and too see synergies. Sleep on it and continue the process. Let the process take time. You will feel it when you have found the right name. When we know we are dealing with human nature, a good idea is to consider the emotions your brand is triggering. What are the associations that pop up in the head when hearing the brand name? First off you want to know that your name isn’t already taken. The best way to do this is to google your country’s main trademark association. They typically have brand name databases that you can search. This is a quick way to see if your name is free or not. Make sure it is free, since you don’t want to take part in trademark infringement. Once decided, you want to register your name for a trademark to protect the goodwill and reputation of one’s business from competitors. Secondly, you want to check that the domain name is free. In order to see if it is free you can visit one.com and use their tool on the first page. There you can see which domain endings are free for your name and which ones are taken. You can also type the name you want directly into the address field on your browser to see if it is taken. If the domain is taken you can ask to buy it from the owner, but the easiest way is to alternate your domain name a bit and see if it is free. Be creative and change up your desired name. It is great to have local domain endings, e.g. .de, .co.uk, and so on, especially if those are your target markets. If you are going global, try to get the .com version of your name. Thirdly, search online to see if someone else is using your name. You will need to think about SEO, search engine optimization, when starting a website. Try to pick a name that stands out and that is not too popular. Let’s say you have a brand and domain name that includes ”New York”. Then it will be really tough for you to end up in the top search results on the search engines. You will compete with all (already established) sites taking about New York, including hotels, travel, fashion, and more. So google your brand name a bit before deciding what to choose, and see what people will find when searching for you. If you tell someone your brand named, they should directly understand it. Make it easy to pronounce, or your brand will sound different depending on your customers interpretations. This will make your marketing much more difficult. Make it easy to spell. After hearing your brand name, you want your customers to easily find your brand when searching for it. You want a memorable and unique name, so when your customers see or hear it, they will directly think of you. Make sure it all sticks out. Make a brand that gets noticed. Own your brand! Don’t look to much at current trends and what is popular at the moment. Trends pass, and the risk is that the coolness of your brand passes too. You want your name to work for you even in the future. What future plans do you have. Do you want to expand your range of products, and if so, is your name still suitable? Make your name relevant to your business brand identity. The brand, the product, and your name have to deliver the same message and feelings to the customers. So test your name ideas with your target audience. What are they thinking about when they hear your name? Try it on a niche online forum and listen to what they have to say. A benefit of starting your social media activities early is that you can test your name on your fans and followers. Let them comment and vote on different suggestions. When working with different name ideas, also think about how they could translate into logos. Could it work as name logo or can it be turned into a symbol? If you need help with your logo you should try 99designs. With 99designs you are essentially hosting a contest online where you will be able to attract a lot of great graphic designers that will submit their concept to you on the website. Then you’ll be able to provide feedback, and pick and choose out of many different concepts. Ok, now you got some pointers, but remember that it is your brand. There are no clear rules what your brand name should be. If you feel strongly for a name, go for it. However, we still recommend you go through some of the checks above to avoid evident mistakes. Your brand is more than a name and a logo. It’s a story that will carry your brand for a very long time.